When thinking about a promotional campaign it is always best to consider combining different promotional products to get the best effect. Yes promotional pens are a great gift idea but at Ezypromos there is so much more. At EzyPromos we offer a full range of promotional products. So not only do we have product specific websites we also have a full service website as well. Our product specific websites are great if you are looking for a specific kind of promotional product. So if you are looking for a promotional USB flash drive you can go to our EzyUSB website and do have to sift through thousands of products just to get to a branded USB flash drive. Similarly if you are looking for a branded mug to can check out our EzyMugs website to find exactly what you need. We also have Ezylanyards for custom printed lanyards and EzyCaps for custom branded caps and hats. However if you are looking so supply a full promotional products campaign then you have the luxury of having access to our full service website. With our full service website we have over 5000 promotional products on offer to cover any campaign. You will love searching our diverse range of products and are sure to find something that will fit your specifications. If there is something that you can’t find on any of our websites then send us the details or ideas and we will find it for you. As if we can’t find it then we will get it custom made. 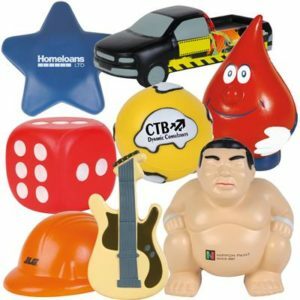 We have access to not only the best suppliers in the Australian promotional products industry but also a huge range of factories offshore to turn to. Our year of experience and close relationships with our pattern will ensure that you get the right product at the right price and on time.